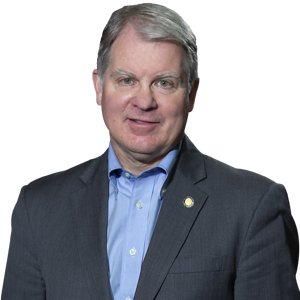 HARRISBURG – A law authored by Senator David G. Argall (R-Schuylkill) to protect consumers against illegal household goods movers received national attention today in a special report on CBS This Morning. The law, Act 77 of 2017, strengthened penalties against rogue movers who pose as legitimate, licensed professionals. Many of the illegal movers fail to get necessary insurance and permits or pay worker’s compensation or taxes, resulting in dangers to both consumers and employees of the unlawful business. “Illegal movers create a great deal of damage and suffering so it is encouraging to see this issue get the nationwide attention it deserves,” Argall said. “Pennsylvania is leading the way in protecting consumers who could be impacted by the dishonest business practices detailed in this report.”The CBS report detailed a similar situation in Florida that resulted in customers having items stolen, damaged, or held for ransom by unscrupulous movers. Under Argall’s bill, a rogue mover could face a fine of $5,000 for the first offense and $10,000 for second or subsequent offenses. Individuals may also have their vehicle registration suspended and vehicles confiscated and impounded.